AT LAST. 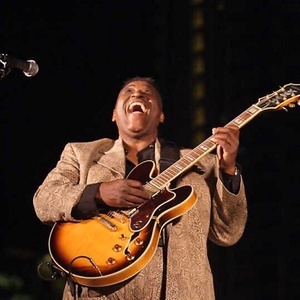 JOEY GILMORE IS RELEASING A NEW CD CALLED BLUESMAN ON MAY 20. THE RECORD LABEL IS CALLED EMANCIPATION MEDIA. HERE'S THE DEAL In 2006, The Joey Gilmore Band was proclaimed the ? best Blues band in the world?, taking 1st Place honors in this most highly coveted award in the world of Blues, The International Blues Challenge (IBC). The IBC is the world's largest gathering of Blues acts representing an international search by The Blues Foundation and its affiliated organizations to find the Blues Band and Solo or Duo act ready to take the international stage. In 2006, The Joey Gilmore Band was proclaimed the ? best Blues band in the world?, taking 1st Place honors in this most highly coveted award in the world of Blues, The International Blues Challenge (IBC). The IBC is the world's largest gathering of Blues acts representing an international search by The Blues Foundation and its affiliated organizations to find the Blues Band and Solo or Duo act ready to take the international stage. Not only was Joey Gilmore ready, the public's awareness of this major Blues talent was long overdue. Joey Gilmore's career has spanned almost 50 years, with performances throughout the United States and Europe. Joey is a true Blues and R&B master who incorporates new and varied styles in his music, performing original compositions mixed with traditional standards in his high energy live show. His tenor/baritone vocals belt out tunes reminiscent of the great Blues legends of the ?40's and ?50's. Joey is undoubtedly the definitive ?Bluesman?. When you look up the word ?Bluesman? in a dictionary, you would expect to see a picture of Joey Gilmore! That's why Joey's latest CD is simply called ?Joey Gilmore: BLUESMAN? A great big thank you to Bobby Ekizian whose vision, concept and creativity made this whole project possible.